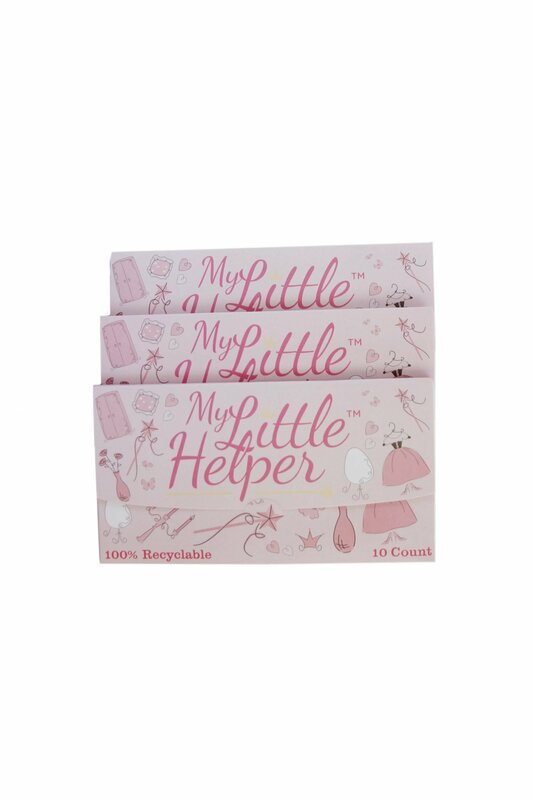 My Little Helper® The only product on the market for Girls. Cute princess design in a reclosable, envelope style pack. Three packs of 10 units. Both the product and the packaging are eco-friendly and 100% recyclable. Compact, and easy for girls to put in their pocket & use. Keep some in her backpack, activity bag, your bag & the car! Features: Specially designed for a younger girls body. The only product in the market designed & made especially for a younger Girls body. My Little Helper disposable sanitary funnels (aka PeePee Funnels) for younger Girls ages 3-11. Stylish & cute princess design. Comes in a convenient re-closable 10 pack. Ready to pop open and use. Quality paperboard – water repellent & leakproof. No mess. Easy to use. Disposable & Recyclable. Compact and can easily fold & fit in pocket. Flat & discreet. Fits anywhere. No bulky funnel. Fresh and clean each time. No need to disinfect and reuse. Disposable – Recyclable – Eco-Friendly. The product is made of top-grade reinforced industrial composite paper which is coated inside and out with a leak-proof barrier to ensure a secure and waterproof construction. Girls love their special design. Size: Pack dims: 7”L x 4”H x 3/8” thick (18 ¾ cm L x 10 cm H x 1cm thick). Each MLH funnel is approx. 6 3/4”L x 4 ”w (17cm L x 11cm w) and is the thickness of a card. Each unit is packed ready to just pop open, fold the flaps down and use. Use: Depending on the age of your child you may need to assist them, especially the first couple of times. Not because it is difficult for them to use, but from testing we have learned that they think it is really cool and mid-stream may try to turn it up to look at it or try to do fancy spins with it. Once you help them and tell them to cover the area to create a seal with the skin & keep it in place until finished kids really learn fast! Help as needed the first couple of tries and then they will be confident and want to stand and do it on their own! Always have a Safe & Sanitary way to go with you.